Borrowed Time opens by introducing the dominant theory for why we age. This suggests that the majority of our bodies’ cells are only required until the next generation has been successfully raised. Since maintenance of cells is very energy intensive, there is a lack of investment once we pass our reproductive prime, much like an aging public transport system. This ‘disposable soma’ theory provides the framework for investigating how we age, and the book goes on to take a detailed look at the ideas surrounding this. It explores the effect of shortening telomeres and the arrest of cell division, before moving on to focus on inflammation and the role of the immune system. Later chapters focus on the effect of diseases and what they tell us about the aging process. These ideas are mostly introduced through interviews with the scientists responsible for them, and this serves to emphasise how new and rapidly changing a field aging research really is. However, the cast of characters is so large and diverse that recalling who was responsible for which theory can be challenging at times, especially when they are referred to several chapters later. The same issue can be raised about the sheer volume of technical language used in the book. In the first chapter alone, readers are introduced to epigenetic alterations, telomere attrition and cellular senescence, for example. Requiring the average reader to remember all these terms is a big ask. Armstrong’s writing shines, however, in the latter half of the book when it delves into Alzheimer’s disease, with the introduction of the Jennings family providing a much-needed change from model organism and mouse experiments. The story of a large extended family all affected by Alzheimer’s later in life, and how their DNA helped to illuminate the genes responsible for familial Alzheimer’s, will hit close to home for anyone with a relative suffering with the disease, and is handled sensitively and with care. It provides an important reminder that aging dramatically affects people every day, and that aging research has the potential to improve people’s lives immeasurably. 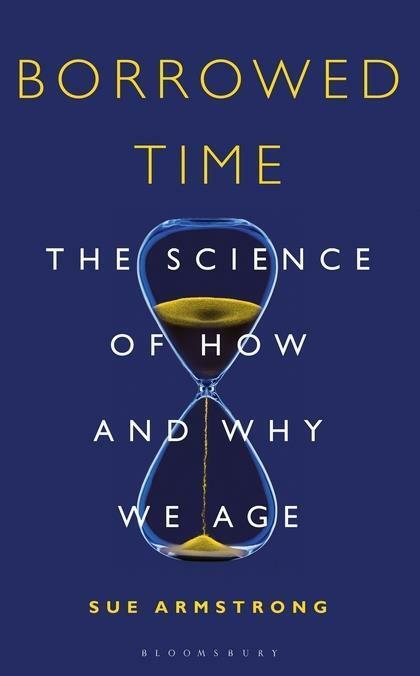 The book ends with the suggestion that a real breakthrough in aging research may be around the corner, if we can convince policymakers and pharmaceutical companies to see aging as a syndrome comprised of the diseases that tend to occur later in life. Armstrong makes a valiant effort to explain aging for the layman, and although the individual stories are handled well, the overall feeling that comes through is one of confusion. While this may be an accurate picture of the state of aging research, it makes for a disconcerting read. The feeling that we don’t know much about aging at all lingers, even after the optimistic conclusion.